Up to the 1970s, the rubber bush has been one of the most prominent plants in any German household. 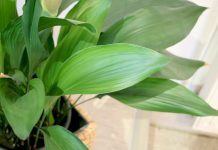 It also looks amazing as a pot plant in stairwells or office buildings. 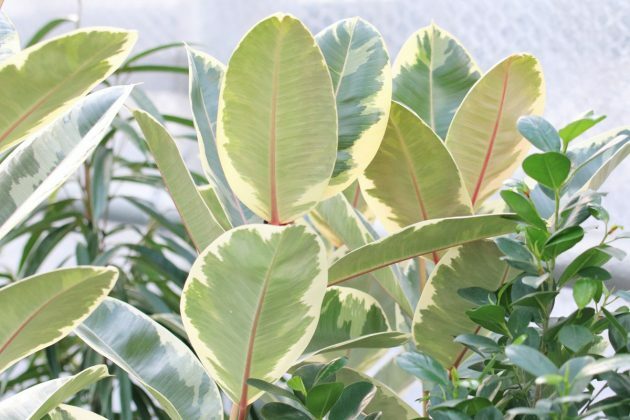 The Ficus Elastica is equipped with big, rubbery, dark-green and shiny leaves. 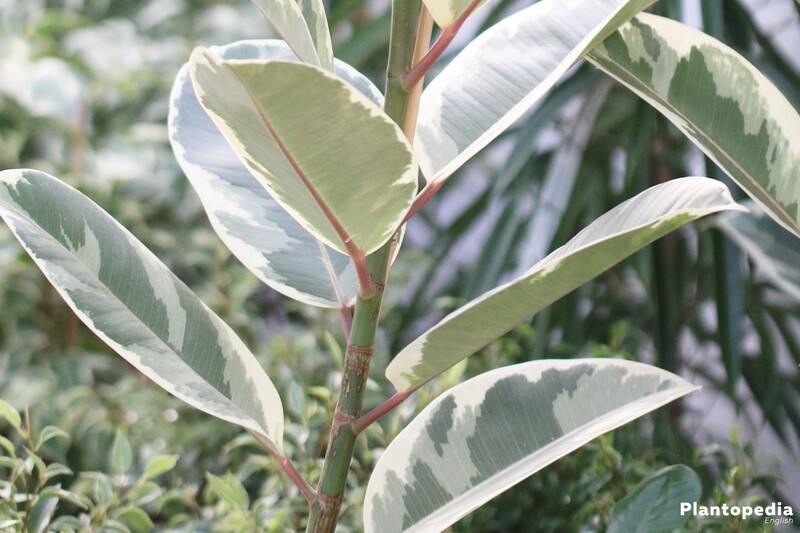 The tropical ornamental tree is a very tough and low-maintenance plant with which you will be quite happy. Reproductive seeds only come from the small and inedible fruit when it has been pollinated by the fig wasp. The rubber bush generally likes warmth and sun since it’s indigenous to tropical climate. The Ficus Elastica belongs to the species of fig trees from which there are mire than 1.000 kinds. 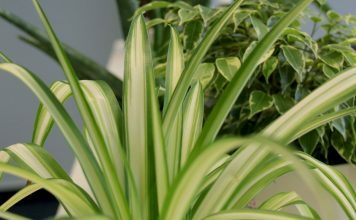 The plant is well-loved in offices, conservatories and entrance halls, but is increasingly gaining importance for living spaces again, because it degrades formaldehyde from furniture and carpets and grows really well in room temperatures. 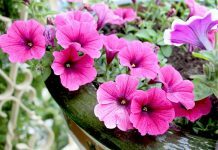 If you care for it in the right way, it’s one of the most rewarding ornamental plants. Although being loved for its sturdiness and made for beginners in the gardening world, the Ficus Elastica needs to be cared for according to some maintenance pointers, so that it can develop splendidly. 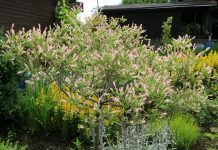 The rubber bush will develop well when you keep it in a bright and warm location. It doesn’t have to be bright sunlight, but it can also adapt to that. It can also tolerate warm draught, but it isn’t optimal, that’s why ist should be in a possibly quiet and sheltered location. Put it in a bright cornerm not text to a radiator or window, that’s where it will feel the best. It also feels good in entrance halls or stairwells and can develop there if well-cared for. What you should keep in mind is that the room’s temperature should not fall under 16 degrees celsius and never under 10 degrees celsius, the rubber bush doesn’t like cold temperatures or air. 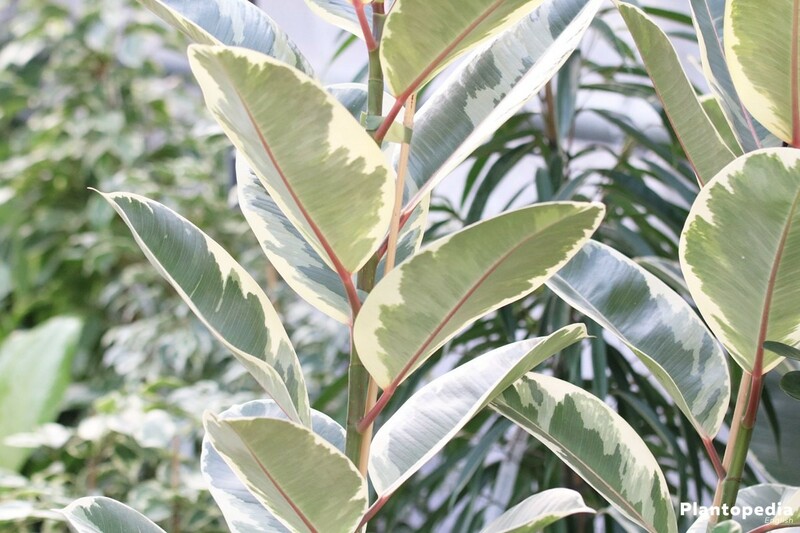 During the summer time, the Ficus Elastica can be outside, on a balcony or patio, as long as you protect it from bright midday heat. 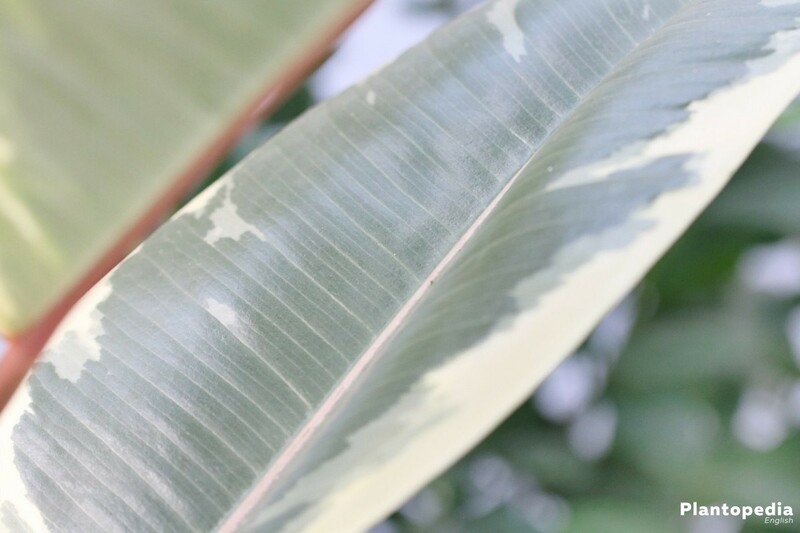 It does tolerate dry room air, but since it’s a tropical tree it prefers a moist and warm climate, that’s why it should be sprayed with lime-free water from time to time. 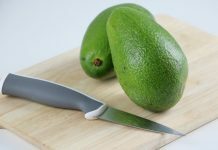 If you have space in your kitchen or bathroom, these present perfect places for the rubber bush. 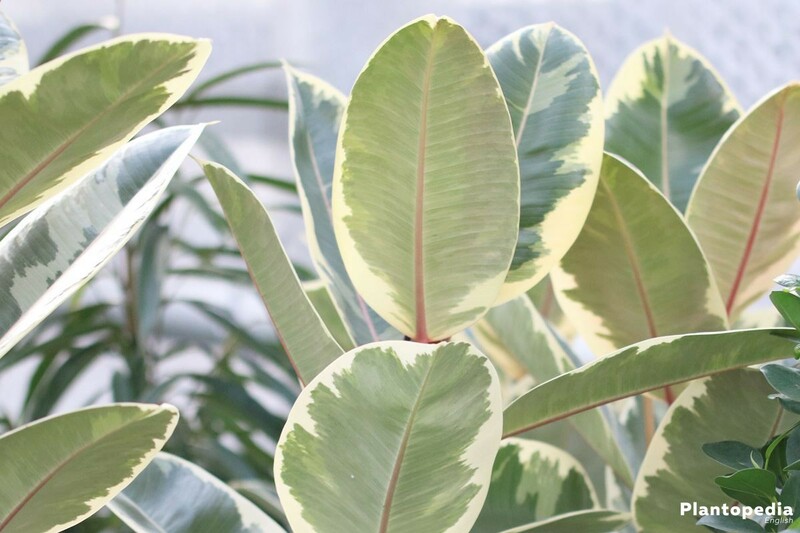 Since it’s a room or pot plant, the Ficus Elastica needs a high-quality soil on the basis of compost and you can definitely mix in some turf, wood, or coconut fibres. A really important thing is a high permeability and a moderate nutrient level. The pot should also not be too big, a confined space is better for its roots. But there’s something the rubber bush does not like and that’s water-logging, that’s why a draining hole is necessary. The best way is to put the pot onto a saucer that’s filled with pebbles, grit, or shards so that it can absorb excess water. This will also contribute to a moist and warm climate, which is what the rubber tree loves. The optimal substrate is a mixture of perlite, sand and lava granule. 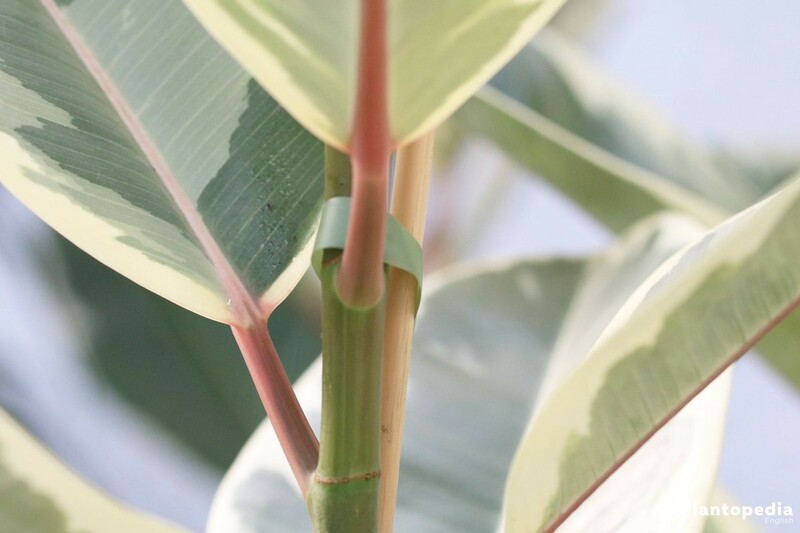 The rubber tree does not need too much water and is used to a dry environment. You should only water once the substrate’s or soil’s surface becomes dry as a bone. 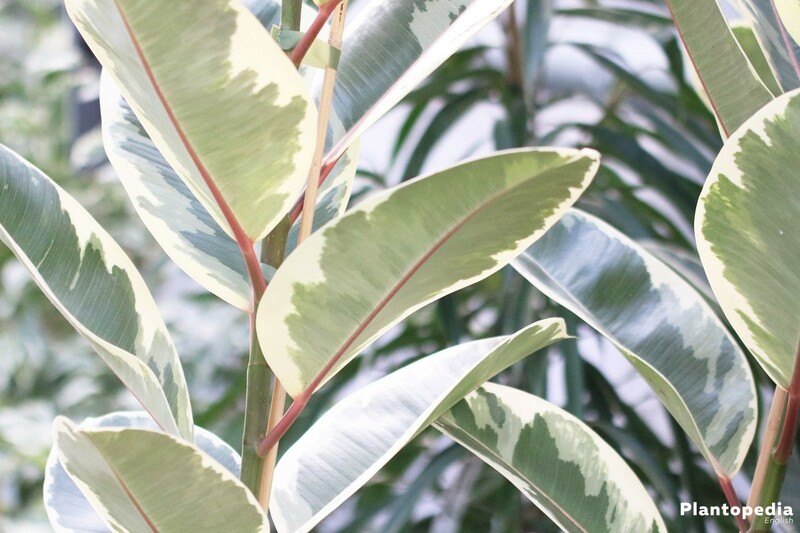 In general all kinds of Ficus Elastica manage little water and nutrients. 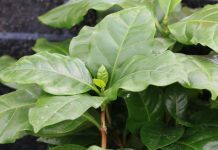 The water should always be room tempered and the saucer with pebbles, grit and shards should be drained 20 minutes after watering.The rubber tree will survive a longer dry period better than too much water and water-logging on the roots. 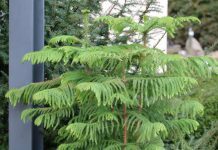 Another optimal method is immersing the tree into water: the whole soil ball has to be under water until not bubbles reach the surface anymore. During that the soil and roots will absorb the water naturally and after some time you can shake off the excess water and the plant can be put back into its pot. 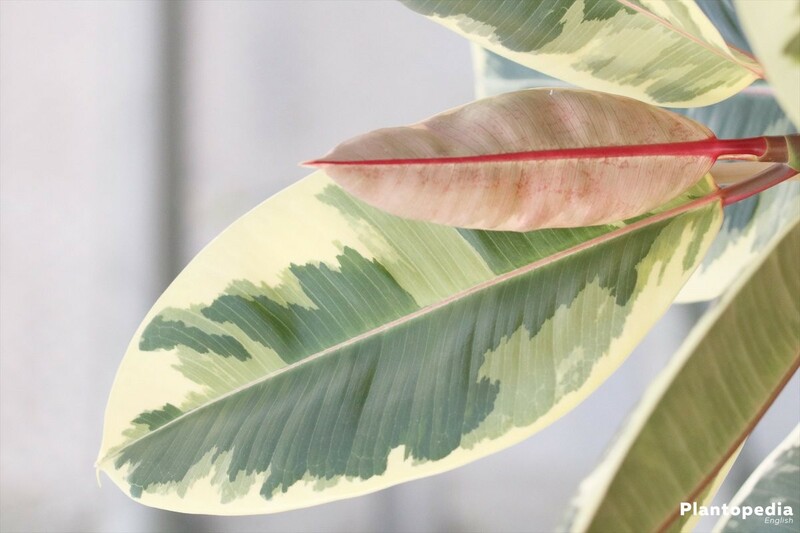 This method is a bit more elaborate, but only has to be executed every few weeks, that’s how long the Ficus Elastica can live off the moisture in its soil. You only have to fertilise every 6 weeks with a customary, liquid fertiliser. 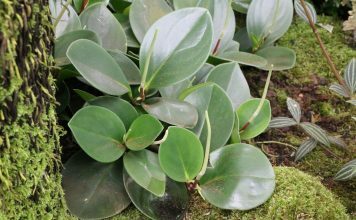 The Ficus Elastica also tolerates ripe compost as a fertiliser in so far that the soil is mixed with coconut or wood fibres. You should not fertilise during the winter. 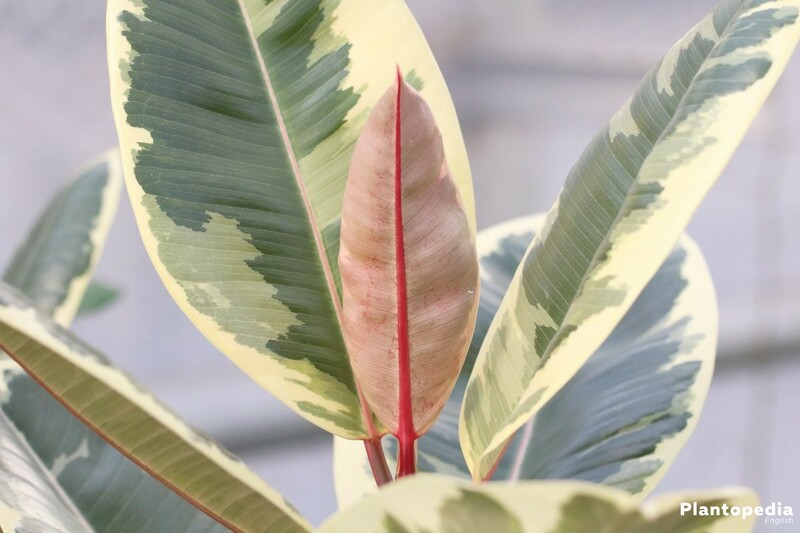 The big and shiny leaves should be handled with special care so that its full beauty can be preserved. Leaves should be cleaned from dust regularly. If the rubber tree is kept in the kitchen or nearby a thin greasy film can be found on the green leaves. 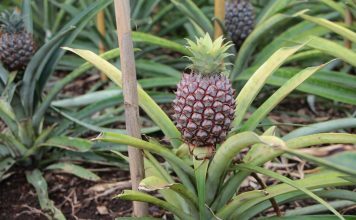 To get rid of this you can use a moist cloth to carefully wipe down the leaves. The rubber tree also enjoys a lukewarm shower from time to time. If necessary, you can protect the soil ball with foil or a plastic bag. You should let the ball drip off after that, to remove excess water. Tip: To preserve the shine of the leaves you can wipe them off with a banana peel’s inside from time to time. Alga water is said to have the same effect. Wether to get more rubber bushes for home plants or to give them as a present, it is quite simple to breed them. 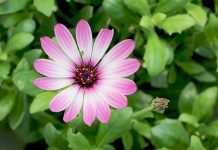 You can alternatively put the young shoot into a pot with soil or low-nutrient substrate, and tie it up with foil or a bag. 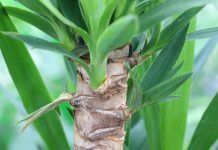 After 2 to 3 months, when a sold root system has been accomplished, remove the bag and the young plant can be repotted. 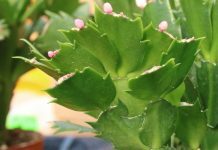 Tip: Please do air the young cuttings regularly and spray it cautiously with water. The best time for breeding and cutting comes in the early spring and the shoot should be cut just under the eye. The other good thing about this is that the rubber bush will be trimmed by this. Real experts will cut so well, that the bush can grow uniformly. Even a radical cut will not bother the Ficus Elastica. So that’s how you can curb this tropical tree and it will grow bushy instead of growing uncontrollably higher. Caution: The leaves will release gum that can cause allergies, that’s why you should always wear latex gloves while cutting. A harmless plant juice will emit from the shoot that can drip off of be dried with a cloth. The Ficus Elastica can also be bred by seeds. You should use plastic pots and low-nutrient seeding soil for this, a sand and turf mixture will also do the job. It is also useful to cater for an optimal seeding climate, by soaking the soil and putting a see-through plastic bag above the pot. 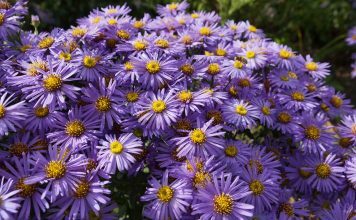 As soon as the germlings shows leaves it should be piqued and when it’s big enough it can be put into a bigger pot. A regular check should be followed through to recognise pest infestation. 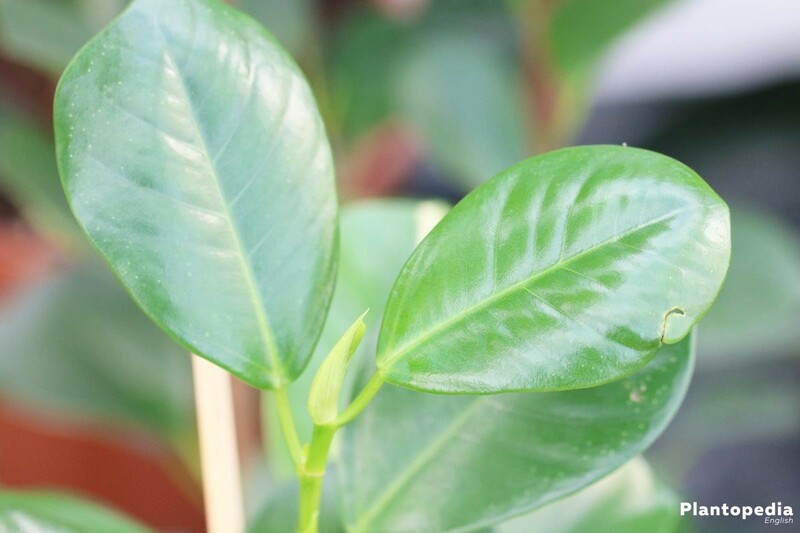 As well as all tropical plants, the rubber bush can be infested by scale insects and mealybugs, or the red spider mite. 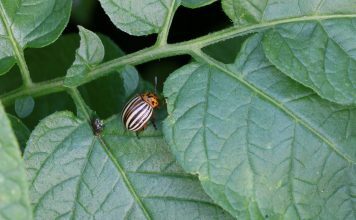 You can use customary pesticides, or biological remedies. Those are insects that can be ordered online or be bought in a good specialist shop. The can tackle the pests in a natural way by eating the insects, for example the following ones. Once there are no more scales or spiders they will vanish by themselves. A pest infestation can especially be caused by a dry room temperature (you should sorry your tree from time to time) or water-logging. Flower soil will often import fungus gnats that can be exterminated by their natural enemies (biological remedies). 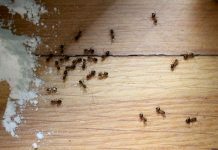 If the infestation is limited, you can also use nee oil, or a mixture of dish detergent, liquid paraffin and water. 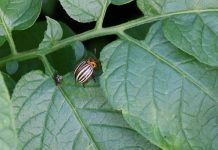 You have to act once the first signs of a yellow staining, dry leaves or fine webs of the red spider mite appear, so that it won’t spread. Once the Ficus Elastica starts cultivate aerial roots and the substrate pushes up you should look for a new pot. It feels the happiest in a clay pot. 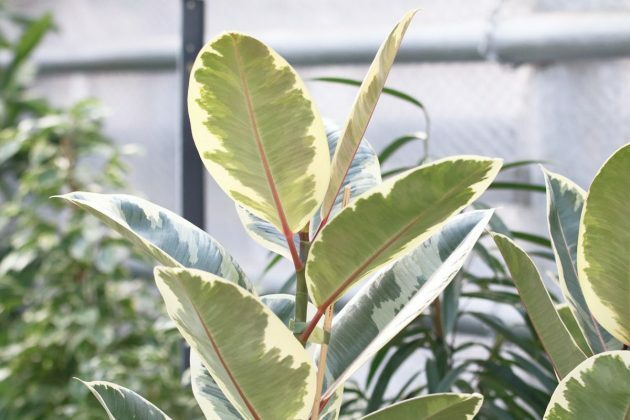 The classic rubber tree comes not only on its conventional form, but also in more creative ways, thanks to innovative breeders. 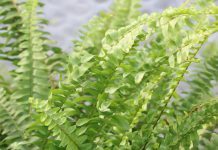 There are sorts with wider leaves (Decora) and green and white spotted leaves (Doescheri). There are even ones with creme- or rose-coloured leaf marks (Tricolor). 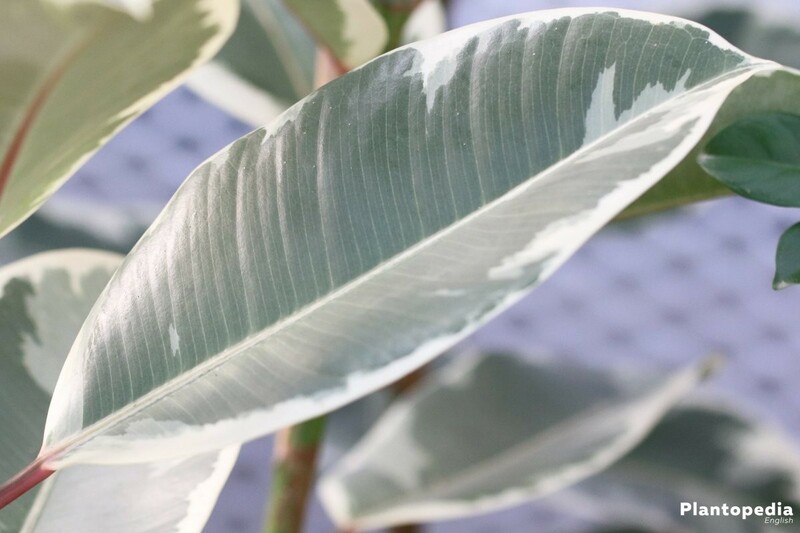 Quite a noble kind ist the Ficus Elastica „Black Prince“ with its really big, round and dark-green leaves. The most-known new breedings are the following ones.